Collins Booksellers - Amazon’s Audible Audio Books by James J Burton, 9781519955166. Buy this book online. Everyone you look to nowadays has no time to enjoy the things they loved to do at leisure. With the everyday hustle and bustle of the world, we've all learnt to multi-task or leave some tasks out of our daily routine. While it may not entail a lot for some, many people often end up cutting out their hobbies such as reading books. However, nowadays, many people also like to cram their free time with other tasks which are more important for them. One of the main reasons why Kindle and e-books have been so popular is because they gave books a mobility which has never been available. People could forgo having to tote around the bulk of a heavy book and the extra space was saved up by a sleek device which was capable of storing enough books to fill a mini-library. Pushing the genre of the mobility of e-books that new technology allows, Amazon.com has now introduced Audible Audio Books which give a new spin to the more common cassette books which were famously popular in their day and age. However, once the cassette player became obsolete, these books had faded out of sight. With their re-resurgence Audio books now give you a revamped version of cassette books which can be accessed through your smart phone. 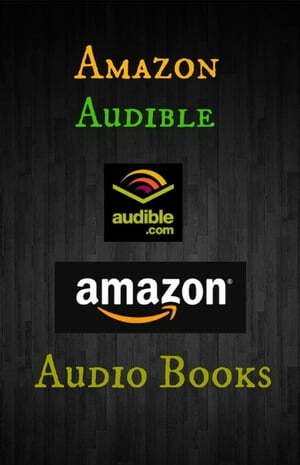 With many bestsellers easily available, you can find out with the help of this e-book how you can access Audible Audio Books whether you're an Amazon member or not.